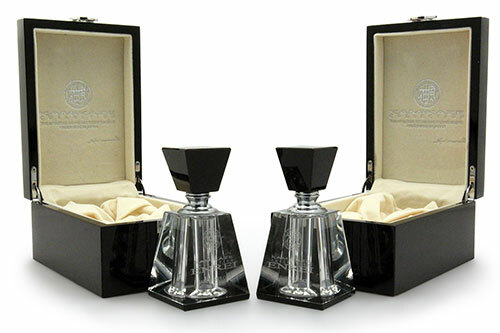 WE ARE THE CERTIFIED DETAILER OF KAMIKAZE PRODUCTS FOR THE BERKSHIRE AREA. THIS MEANS THAT WE ARE APPROVED AND FULLY TRAINED BY KAMIKAZE TO OFFER YOU THIS EXCLUSIVE RANGE OF PRODUCTS AND SERVICES. Founded in 2013 by avid Detailer, Kai Morita, the Kamikaze Collection is an innovative range of high-end boutique car care products which combine state-of-the-art technology with traditional know how. 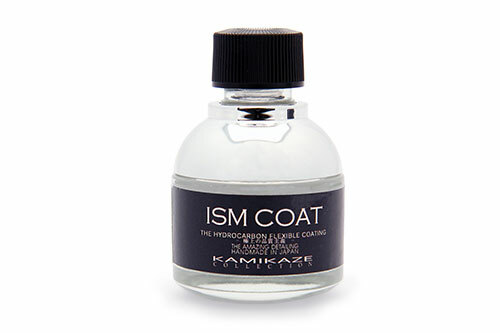 Conscious of the hype surrounding ceramic coatings, Kamikaze Collection is careful not to make ‘false claims’. 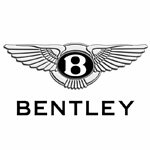 Drawing on a decade of experience within Japan’s domestic product development network, they have relationships with forward-thinking, technologically advanced partners to produce a range that is truly revolutionary. 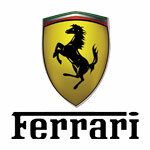 All products are manufactured in Japan with a focus on providing ‘anti-aging’ solutions for ceramic coatings. The ground-breaking research and development has resulted in products such as Artificial Clearcoat, a coating specifically designed to protect the softest paint finishes. Believing that the performance of a coating goes beyond the level of formulation Kamikaze Collection has invested in testing application methods to ensure coatings have the potential to perform to their maximum. 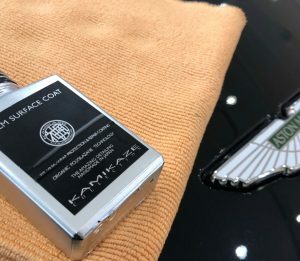 Kamikaze Collection’s flagship ENREI Coat is a two-step system that fully embraces the art of application in the performance of the coating and as a result, along with ZIPANG are available only as a service through trained certified detailers. 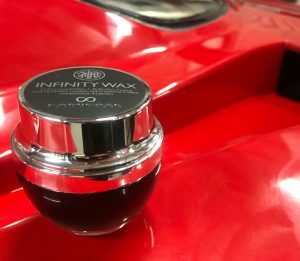 Utilising 53.7% high grade Carnauba Wax, and 39.2% Japanese glass coating, Infinity Wax combines the best of both worlds – the amazing gloss of wax, with the durability of glass coating that provides up to 12-months protection. The Hydrocarbon Flexible coating is not hard and not thin. This is a flexible ceramic coating that’s made from a non-solvent, VOC-free, hydorocarbon material. 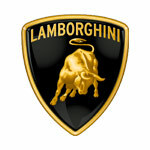 It has been created using the latest technology and provides up to 24-months protection. 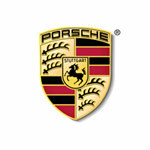 THESE PRODUCTS ARE ONLY AVAILABLE BY CERTIFIED DETAILERS. This is the Self Healing ‘Golden’ coating. The Zipang Coat combines high quality ingredients with ultra-low molecular weight hydrocarbons to produce a coating with extreme hydrophobic capabilities. This is a three layer system for optimum results and healing properties. 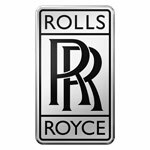 This product also has a self-levelling function activated by heat that helps keep paintwork swirl-free for longer with up to 24-30 months protection. The Base Primer Coat has been engineered to have a high chemical affinity with both the car’s clear coat and with the Top Coat. 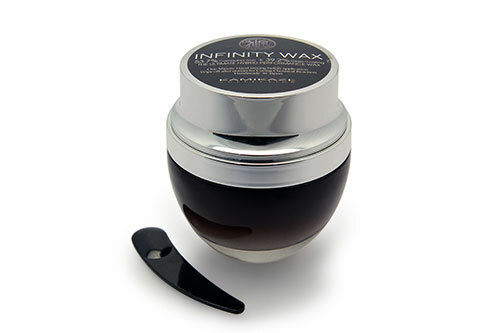 This enables strong chemical bonds with both, providing a long-lasting hydrophobic protective barrier against contamination build up, whilst also delivering a seriously impressive shine. Enrei provides up to 60-months protection. If you would like more information, and to discuss which option would be the best one for you and what you would like to achieve, please contact us. A minimum of a 3 monthly visit is required to keep warranty. Aftercare packages available. Please ask for this when booking.